In this episode, Don and Erik are joined not only by Bruce, but the entire Party Game Cast: Rocki, Mike, and Brian. Together they all talk about some food they've eaten and where party games are going, as well as what is a party game. 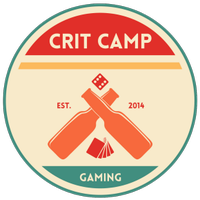 In this episode, Issac and Stephanie talk with Lyle and Chris from Crit Camp Gaming about broadcasting their board gaming on Twitch. In this episode, Don, Erik, and Scott Nicholson talk about starting the podcast 10 years ago and how its evolved. They then discuss games they are still playing from 10 years ago. (59:58) Isaac and Stephanie discuss the games they are still playing from 10 years ago. (1:10:15) Isaac and Stephanie discuss this month's triple play topic: drafting games. (1:53:40) Don, Erik and Scott look at their triple play picks for drafting games. (2:11:03) Lastly, Giles adds his own take to 10 years and the triple play. In this episode, Isaac talks with Matt Wolfe from Game Designers of North Carolina, about gaming terminology; specifically about decision scales. (27:26) Giles adds his own terminology to our growing lexicon. (29:22) Lastly, Giles and Don go out to the Game Shed.